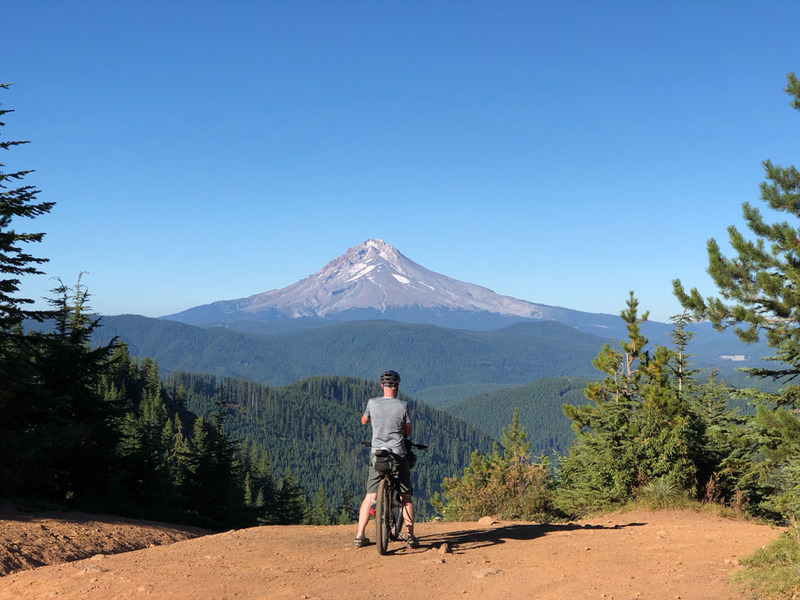 Summer 2018 was coming to a close and we wanted to squeeze in one last bikepacking trip before I started to immerse myself in painting projects. 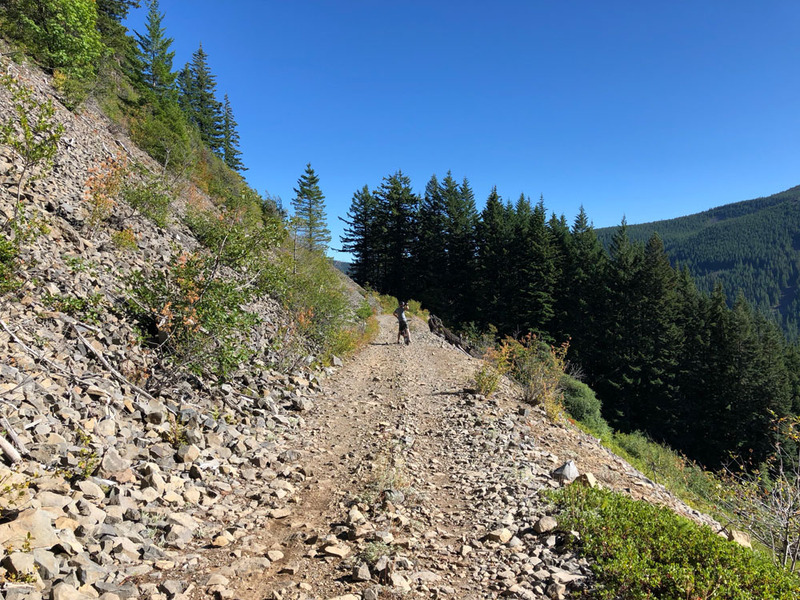 The Cascade Skyline route was one we rode back in 2015 but that version had some wet weather that made the first day and a half kind of miserable. This time around, we are more experienced, fit, and dialed in with our gear. We decided to give it another go with the option to make it a bit shorter. We had Audrey drop us off in Downtown Estacada so that we could do one last stop at the grocery store and get some dinner. 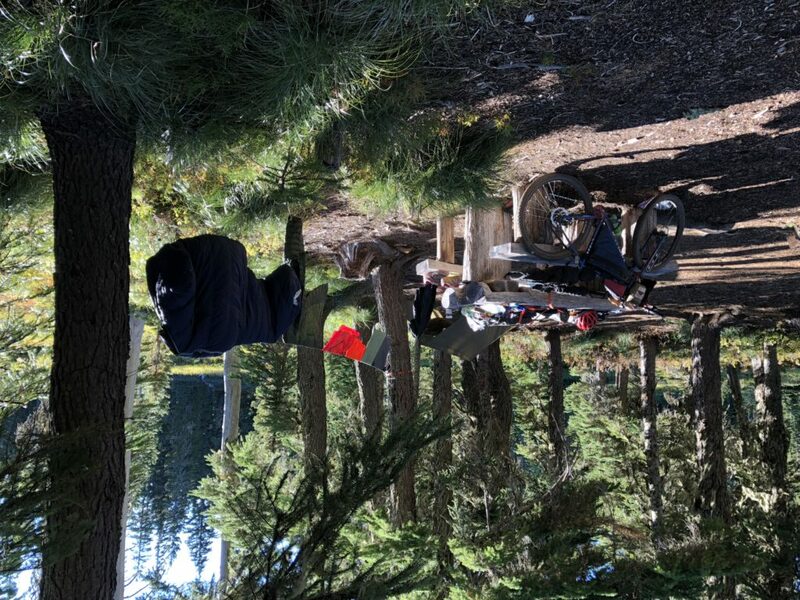 Then we rode the 2-ish miles over to Milo McIver State Park for our first night. We had some damp fog overnight, but no rain this time around. I wanted to enjoy the night stars so I slept without my tarp set up over my bag and ground sheet which lead to the mist getting me a bit damp. No worries, plenty of time to dry out. We started our first day of riding by 8am, heading south on Highway 224. 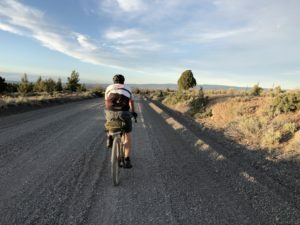 In previous trips to the area, we found some dirt road that quickly takes us off the highway and right to the low-to-no traffic of Faraday Road. The sun was already beaming with pride and our morning layers were being shed. After a few miles, we’ve been warmed up and started the climb up Abbot Road. It was late summer, dry as heck, and the fire alert level was high so the OHV area was closed to all motorized vehicles and shooting banned until the rains returned. This made for some very peaceful pedaling up the mountain range. Brad and I chatted about stoicism, meditation, previous trips, future trips, and anything else going on in our lives. 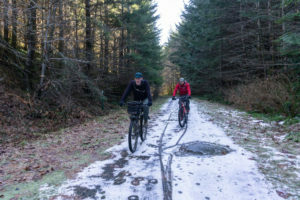 It helps the miles stay enjoyable when you can ride with someone that can share yet challenge your world view and be as relaxed as me as we head into the forest. Now that we were riding on a dry day, there were so many more views of the forest we couldn’t experience before. As usual, Mt Hood did not fail to please our eyes and make our hearts yearn for more outdoor adventures. We rode for hours without seeing anyone else. There were a few vehicles that would periodically pass us, but for the most part we were alone for quite a while and didn’t see any other cyclists. 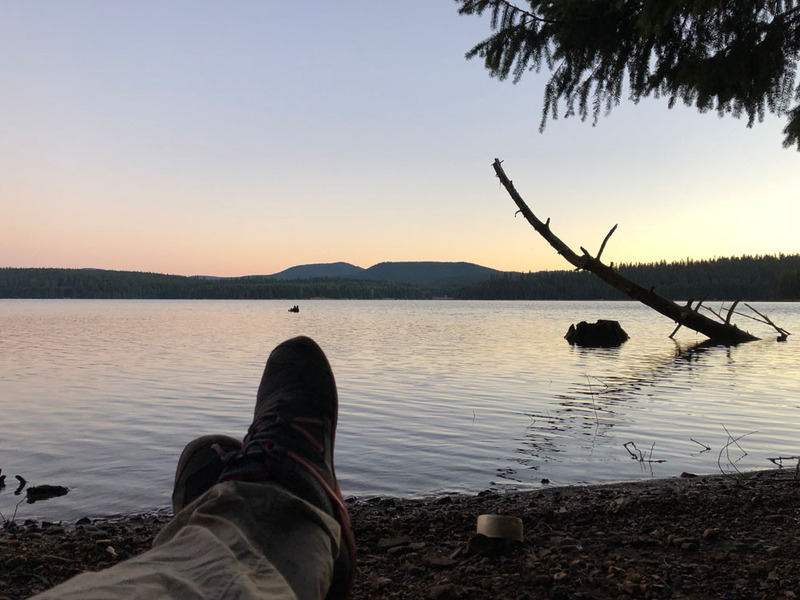 We rolled into Timothy Lake campground as the sun was getting low on the horizon. This time the campground was bustling with holiday campers and boaters. Not much room left for us cyclists, but we found a sweet spot on Meditation Point on the north Shore of the lake. Another chilly morning in the forest, but a decent night’s sleep. We were packed up and back on the trail by 8am again. As we headed south, we decided to skip a small section of the official route as it was kind of an out-and-back that just added miles without really taking us anywhere. The helped us get down to Ollalie Lake a lot quicker than our last trip. We were glad to skip it so that we could get further into the route and enjoy the day. 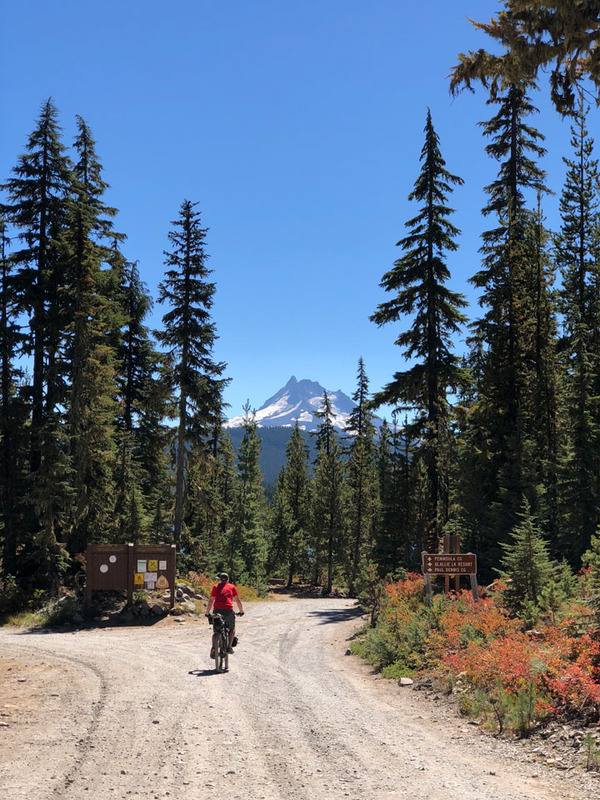 As we arrived at Ollalie Lake, we ran into some mountain bikers out for a day ride and stopped at the Ollalie general store like we did for some ice cream bars. It took me a few seconds, but I soon realized that I knew two of the three riders from previous trips. It was nice to see some familiar faces in a somewhat unexpected place, but this is what all of us do, so it probably shouldn’t be that unexpected, eh? We parted ways, enjoyed our treats along with a quick lunch by the lake. Then we started back south to cover some very rocky road over to Breithenbush Lake. Although it was a very warm weekend, the number of campers in the Breitenbush was quite smaller than we expected. There were only a few at Breitenbush campground, so we found a spot in the back of the campground near the water spring. We hung up our hammocks and made camp for the night. At this point of our trip, we were making some really good time over the route compared to 2015. We were now a few miles further than day 2 of last time, not feeling quite as tired, and settled down while there was still some daylight to be had. As we started day 3, the sun came out from the get-go and had our spirits beaming with joy. 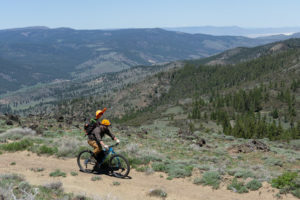 The descent down the bumpy dirt roads was so much fun to do on our mountain bikes. I couldn’t imagine anyone with skinnier tires having a good time. But before we got back onto Highway 42 to head to Detroit, Brad was stung right on the lip by a wasp or something. Not entirely sure, but it quickly swelled up and red. I gave him some zyrtec and benedryl to be on the safe side as we didn’t know he would be allergic to bee stings or not. Stopped to layer-off, top off the tires, and start coordinating a pickup from our ride. The final few miles into Detroit went by so quickly. The day was still young and our legs fresh. We made it to town before noon. At this point we figured we had done most of the interesting bits of the route, Brad’s partner was on her way back from her own camping trip, so we figured we would cut the trip a bit short and just hitch our ride early rather than trying to coordinate in areas with spotty cell signals. We were lucky enough to have a ride home, we didn’t want to push her generosity and flexibility to meet our timeline. Overall, we had an awesome time. The route is still a utter joy to ride when it’s dry, and it got me some gravel time that was much needed after all the hours I spent at my desk. 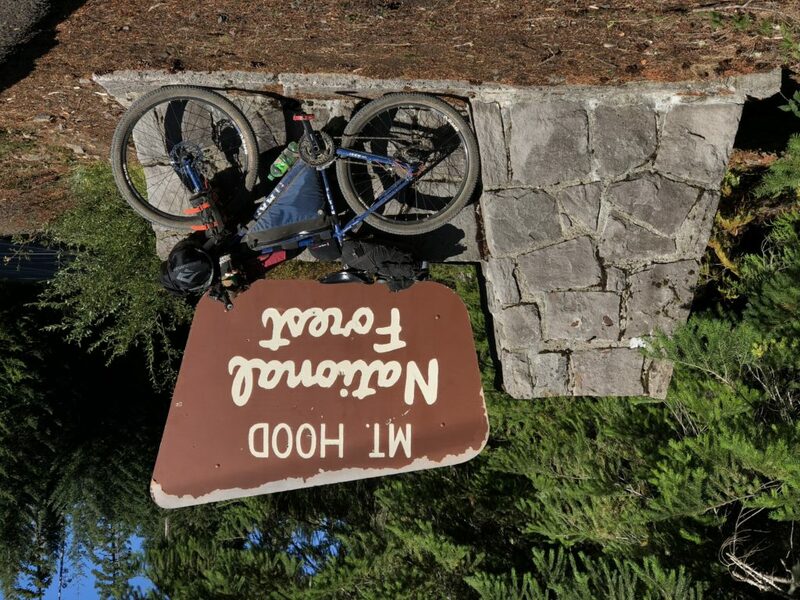 I don’t know if we’ll do this particular route again, but we are already talking about 2019 bikepacking plans.